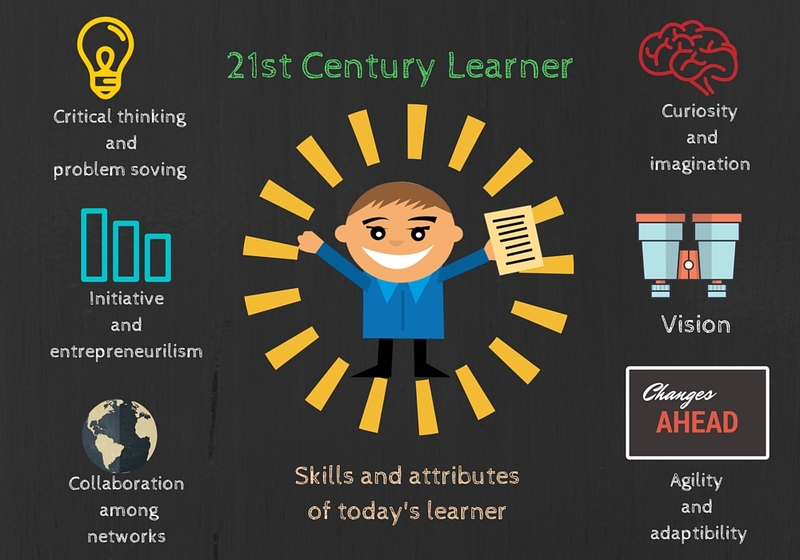 21st century students (millennials) no longer feel yesteryear’s blackboard learning interesting. Why? because technology has shifted to a far more advanced level that could make learning more “qualitative and interactive” than the traditional teaching methods. Gen Z is fast paced with competitive benefits, and it's now necessary to tune in students to suit today’s global scenario professionally,socially and personally. With the rise of new evolving technologies, trends and pedogogy, the method of learning must also change according to the fast pacing generation. There is a need for Innovative teaching practices and Learning Management systems (LMS). In short, “a video is mightier than a pen”. Children love to watch cartoon shows. It entertains and lures children to watch them. Some children get addicted to cartoons and sit all the day long. Animated videos is as powerful as cartoon shows. This is because there is a convergence of education and entertainment. Let us see how animation videos as a learning tool can be used in schools and the advantages it offers to students, teachers, management and the parents. Students are uninterested in learning and are not cooperative in class. Teachers are unable to teach complex information. Students are not able to perform well in class. They don’t finish their assignment on time and always gives excuses to prevent from doing assignments. They lack social skills and lack moral etiquette. How animation can solve their problems? Here are the super ways to use video to solve classroom problems and becoming the coolest teacher. To make the students engage in the process of learning, you can use interactive training materials that grabs the attention of the students. Animated videos is a one stop solution that can grab the attention of the students. With its entertaining visuals, it can clearly comprehend the concept. Since it is an analogy to cartoons, students will get hooked to it. Complex information is difficult to teach. If you are not able to let students perceive information,they cannot understand it. Grab the weapon of animation videos. Animaker, is a DIY tool which exactly serves the purpose of illustrating complex concepts through simple animation. Students don’t do their assignments as they find it boring. They simply “cut” and “copy” it from textbook. 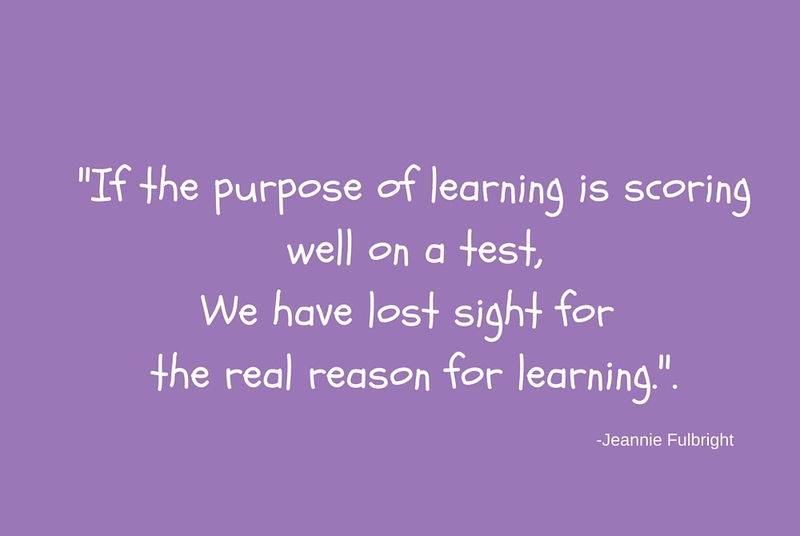 It isn’t a learning process. Make it interesting by giving them animated video assignments. Students will enjoy learning while they make their assignments and this will serve its purpose. More importantly, they will read the material to imbibe it in the assignment and they will learn while they work. Students learn social and moral etiquette through experience and by socializing. Using Animaker, you can create a heart touching moral story which sparks the emotional side of the students. 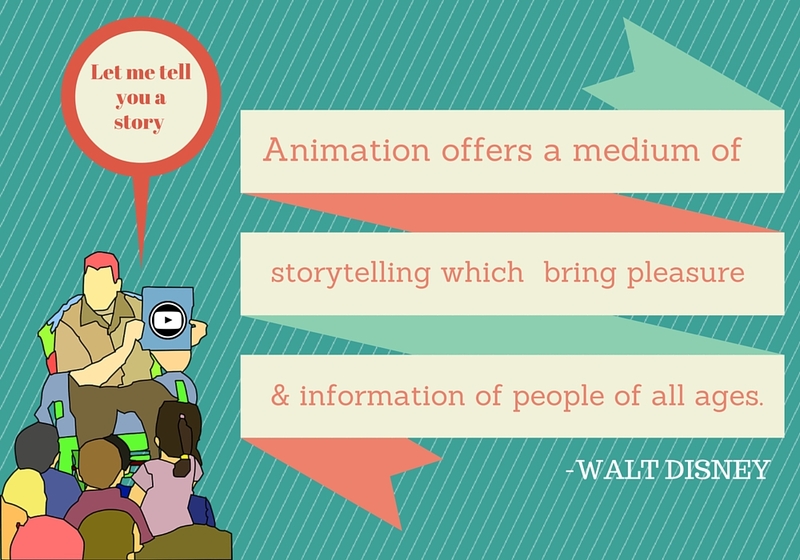 With the power of animation, you can impact your student’s behavior deeply. The students will turn over the leaf and learn to be morally responsible. The way you show them , the way they learn. Animation is a brilliant and innovative new way to encourage children to communicate stories, ideas and concepts in a creative and original way. It can be particularly useful as a tool to encourage the creativity of students who find spelling and grammar a challenge, because it liberates them from the anxiety of always worrying about technicalities and enables them just to concentrate on the story instead. Animation helps in self expression. Schools incorporate drawing and painting in their schools to teach the students the art of self expression. Animation videos makes them enjoy. Animation helps in honing presentation skills. By using animation videos, students learn analytical thinking as to how to present a scenario. If they are successful at making a successful animation video project, it means that they have succeeded in presenting the material given to them. “Due to rote learning of mere facts, children are not able to grasp the facts and the essence of the subject, which leads to a bad foundation. As a result, the students lose interest in the subject and they perform badly in the exams. A bad foundation in the school level can result in a bad graduate performance. Adversely, it demoralises them and spoils the social etiquette.” How animation videos can solve their problem Animation videos have attractive visuals, which in the first instance creates a stimulating effect on the students. This is why most of the children are addicted to cartoons. Animation videos have attractive visuals, which in the first instance creates a stimulating effect on the students. This is why most of the children are addicted to cartoons. You can use attractive characters and scenes which would stimulate the student’s mind to watch it perform. For example, when you demonstrate “photosynthesis” as a process in animation, it would sink in the essence in the student’s mind more effectively than blackboard teaching. Animation videos lets the students perceive the “unimaginable things” and makes complex understanding easy. The reason why schools have practical labs for students is because , if you have to understand something, you must see it. When you see the process, you can connect the facts from the root and hence learning becomes very easy. If you have to put it simply,”Watching a movie is far more interesting than reading a book”, A storytelling video can exactly convey the concept of the subject and attracts the students to grasp the subject easily. Animaker lets you make an interesting explainer video that delivers the student more than the scope of the subject. Animation videos lets you “experience” than “watch”. Albert Einstein said ,”Learning is experience, everything else is just information”. True to his word, animation videos make learning an experience to students. Instead of merely learning the facts of the syllabus, they tend to learn the concept which deepens the roots of knowledge in them. Fun visuals with interactive videos can let students experience learning. Adversely improves social skills. Due to collective learning, students develop positivity and above all critical thinking. 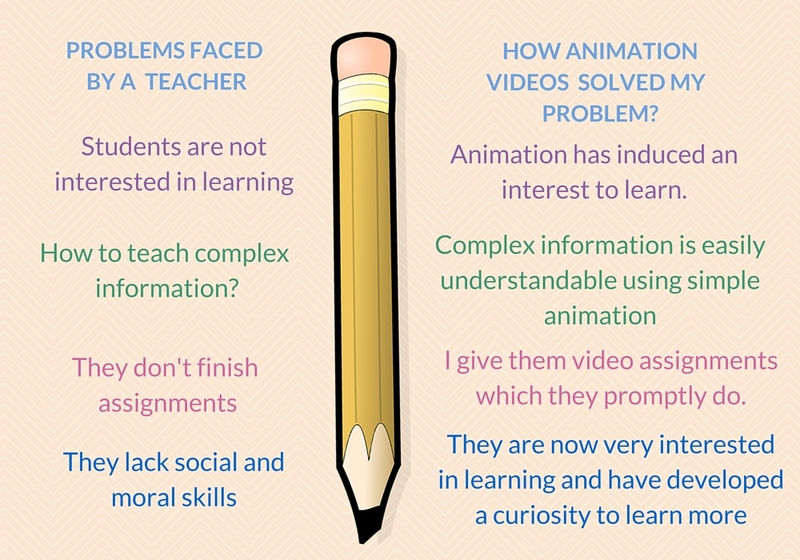 Animation videos let students analyse, think beyond the box, relate and develop. Due to poor performance of the students, my school is not having assured results. How should my school gain the competitive advantage? How do I gain more admissions and good grades? How will my school stand out among the others? Implementing animation videos in school level can show tremendous increase the pass percentage of the school. Your school can earn recognition for taking a step ahead in student’s learning process and be the first in implementing this style of learning. Your school will thus stand out among the other schools and gain competitive advantage. “Animation videos” is the word that fits all and helps all in the present education scenario. Animation videos engage, excites and motivates students.Students will earn the capability to think out of the box and surpass the limits of learning. 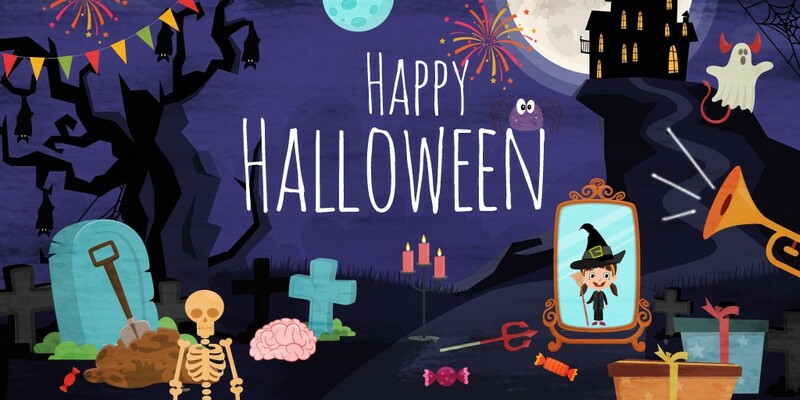 Make learning fun by using Animaker, an easy DIY tool that can be used by anybody. It is interesting, fun and stimulating. Have you made an animated video? It is easy. Please create it and share your experience with us.